KWV is the recipient of the Best South African London Dry Gin for Taste in the World Gin Awards. The results of the 2018 World Gin Awards were announced at the Honourable Artillery Company London at the Gin Magazine Awards Dinner – an event attended by over 120 international gin producers, industry experts, and journalists. The World Gin Awards select the best in all internationally recognised styles of gin, and KWV competed with gins from around the world in this benchmark-driven competition. KWV Master Blender, Ilse du Toit, said the team is exceptionally proud that Cruxland Gin took the top South African honours in such a prestigious competition. The Taste Awards were chaired by drinks writer and gin specialist David T Smith and adjudication is based upon the commonly held gin groupings which define the style and process of gin production. The judges of the first round of blind tastings are independent spirits experts, including drinks writers and educators. From their scores a winner is selected for each category and country and gold, silver and bronze medals assigned. The ‘terroir’-element in drinks and food has become an important trend, with gin experts highlighting the growing importance of local flavours and the advantage of a strong and authentic back-story – all elements which Cruxland Gin excel at. 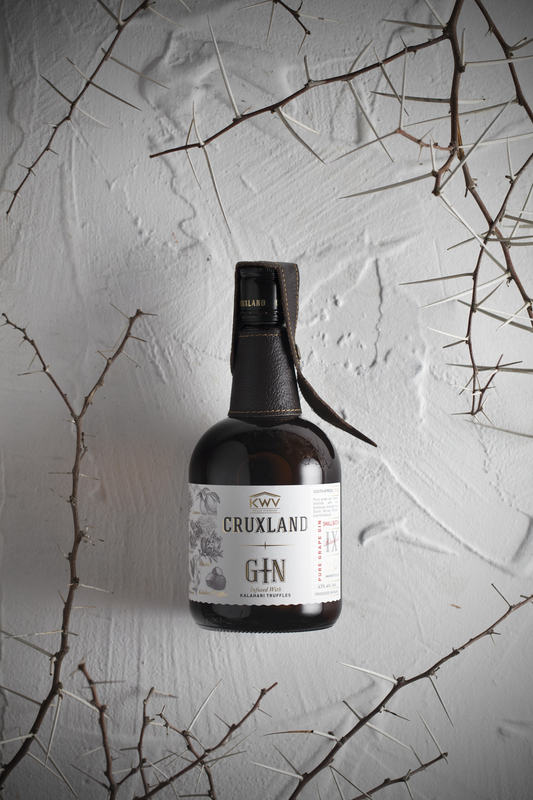 Cruxland Gin is the world’s first craft-style gin to be infused with nine exotic signature botanicals and rare Kalahari N’abbas – also known as ‘Kalahari truffles’. It is made using the London Gin production technique, which means all botanicals are distilled together with neutral spirit. The KWV product development team took almost three years to create this special gin with botanicals typical to South Africa. The Kalahari truffles grow in the Kalahari after the first rains for a short time, and only a very experienced truffle hunter can spot where to start digging. It is not something consumers will find in any other drink – anywhere in the world – and this drink has proved to be extremely popular in South Africa – and the world.